Wirefly's CEO has sent a letter stating that, beginning in March, the 3rd party retailer will stop offering AT&T's products and services. "Effective March 8th, 2011, LetsTalk as well as other web indirect agents [...], will no longer be able to offer AT&T Wireless as a carrier option to our customers. The primary reasons given for this change in AT&T’s business strategy were centered around AT&T cost savings and retrenchment." It is probably precisely these huge discounts the carrier was giving to 3rd party retailers that forced it to withdraw from the "race to the bottom" game. Amazon Wireless still hasn't announced if it will stop carrying AT&T handsets like the others, so we will keep an eye on that to gauge if this is an attempt to work with only one big retailer, or a quest to ditch them altogether. Good. Make it more expensive to get ATT and let the 3rd party companies we are used to shopping with sell all of the other brands. Um, have you ever done business with Wirefly? Those asshats have a history of royally screwing up people's accounts. Saying numbers can't be transferred in order to force the customer into a brand new activation. They force you to agree to not change features on your account for the first 6 months (Most carrier's charge back limit for commissions) or face a $200+ fine...and then jack up your account so you have to make changes. I've had people come in my store from Wirefly who say the company straight refused to do a 30-day return on their handset. Wirefly and a lot of these other retailers are a big cause for churn on all carriers, not just AT&T. I don't know what third party you're backing up, but these two shouldn't be one of them. ATT's own reps pull the same crap, or even worse. I agree, people shouldn't do business with unethical companies, and that is why I don't have ATT. Anything any of these companies have done, guaranteed ATT reps do the same exact thing. Whichever route you go, ATT has WAY more complaints to states attornies general and better business bureaus than any other company. Can't defend one crap practice by saying other people or companies do the same thing. NO ONE is posting here defending Wirefly or LetsTalk by saying they do buisness well. While AT&T, who it has been well documented cannot treat the consumers worth a buffalo chip, may be poor themselves, how does that excuse these third party sellers are obviously unethical, cut throat, and do not have to deal with the customer once they let them down with real "cheap" phones? That is undefendable. If it the deal seems too good to be true..... altogether now... it most likely is. Every company regardless of the industry is not perfect. All have issues. I've used wirefly and letstalk for my past three phones spanning about 6 years and my family and friends have all used wirefly or letalk as well and none of us have ever had any issues. So it's wrong to generalize and say a company is completely good or completely horrible. True, wirefly, letstalk aren't perfect but if they were as bad as you make it seem they wouldn't be in business because the majority of us consumers are smart enough to make informative decisions. True. If you have had good experiences then this does seem over the top to you. I just have had no good come out of wirefly among those I know. You are right about that. My plan was messed up. I ordered unlimited talk and text. They had two lines on family plans and the other two on individual plans. No unlimited text all month with two teenagers. It took us(me n AT&T) over an hour in store to get my plan and phone bill straight. They have great deals on phones, but that's as far as it goes. The only thing that will do is give At&t less business. At least for new accounts. Not too often that people are going to want to be spending $200 to even $400 upfront on a phone. Can't afford the upfront price on a phone? Totally understandable. But there are options. If you are in love with a single phone that you just have to have, wait a little bit, get it second hand on ebay. If it is a function (maybe messaging or web browsing) you are wanting, get a contract for a phone that is strong in that one area but maybe weaker in areas that you do not care about. This website, it's postings and those who leave comments will be glad to help you find what you need. Just do not buy from these parasites. Two years is a long time to live down a bad decision, and early term fees are not set up to be painless. Wow, AT&T ... I've been with you over a decade (since it was Cingular and even before that) and this is something that might actually cause me to switch to another carrier. Dumb. Dumb. Dumb. amen to that response brotha! these 3rd party retailers has been a thorn in cell phone biz side for years. why would u ever go to someone who is not qualified. these guys goes through a crash course of cell phones and policies, and the corporate locations goes through 2-4 weeks of training, and the people that are complaing about prices remember, these are the quality walmart customers...known for quality :/. I've heard a rumor that you have to be a member of Mensa to work in corporate stores. Not just any retard with a high school diploma and the reading skills of an 8 year old can work in an ATT corporate store lol. Gimme a break people. its not dumb trust they other will follow. sprint, tmobile and the big red so whatever. This is a good thing. I hope other carriers will follow suit. Subsidies, in general, while appearing to be a good idea, actually devalue handset and add long term confusion and customer disloyalty to the industry. The overall and long term customer satisfaction is greater when customers deal directly with the carrier for all transactions. I have to agree. Its easier to take care of problems with your phone if you just go through the carrier. After a bad experience I will never buy another phone online UNLESS its from a carrier website or corporate store. I agree with jo. I work at tmo and I cannot count the number of customers that come in complaining about their account, their new account is activated with the wrong plan or the wrong features, or they were misinformed about something and most of the time when I ask them where they activated, its usually a third party dealer. and god forbid if you upgrade through a 3rd party, you change a feature and you change your mind. I've seen accounts billed for the price of the phone just because a customer changed a feature after upgrading through Wirefly. I'm glad to see them go. This is good...when you buy from these supposedly cheap 3rd parties, the service comes with additional requirements. Buying straight from corporate is better - price may be higher, but when you go to that store for a return you will not get the run around like you do at a kiosk or best buy mobile. These places always claim that they need a manager around for returns and exchanges - and a manager is never around. this is one of the smartest decisions At&t has made to date. i hate companies like Wirefly & Letstalk b/c customers will give them their business and then come into the store to have us fix their mistakes. @MEsays - the reasoning is that you want to end your service with At&t is b/c you cant buy a phone thru either one of these shiesty 3rd parties? Im not calling you dumb...im just sayin. Good for ATT! Hopefully VZW will follow suit. Wish they would drop Costco, Wal Mart, and Best Buy as well. As a consumer I love being able to run out and buy a high end device for free, but as someone who works in the cell phone industry it drives me nuts to have to deal with people's account issues from going and getting their phones from these guys. I also can't stand the "I just bought this at Wal Mart and need help setting it up." WTF, go back to Wal Mart then! And as a commissioned sales person I don't need to be dealing with other people's customers all of the time when I know they are just going to go back to Wal Mart for their next phone. Come on, people, would you go buy a car off of a cheap car lot, find out the oil hasn't been changed in it long before you bought it, and drive it next door to a different saleman at a different car lot and see if he can change the oil for you? Come on, this is the Ford dealership! I bought my Droid X through Best Buy, when I had issues with it. I called Verizon and Verizon sent me one of those "almost new" phones for free and just simply had me mail in the other phone. When I called them about the phone, they never asked me where I got it from, they had all my account information and everything. Maybe it depends on what carrier it is, but it seems like as long as it's the carrier's phone. The carrier will support you no matter where or how you got it. Hell, I sold my friend my Moto Droid. He dropped it and cracked the screen, Verizon sent him a replacement phone too, didn't have to pay a penny. He had a LG Env Touch before this. I wish they could have held of on this for another month because I was about to add another line to our family account and now I can't. Now I can't have a phone with our current family plan. I can't have a phone period. JUST GREAT. So does mean no more cheap phones for at&t? I always used wirefly and letstalk to stay on att. Even after then 6 months of whatever plan they require, it is much cheaper than paying upfront at att store. But they do screw you up by lot of hidden rules such as family plan secondary phone upgrades and such. Most of the phones at ATT store are priced pretty high, don't you think? I remember when the same smartphone in ATT store costs $200, wirefly had it for $50. With all options/requirement the same. 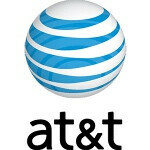 I'll be upgrading my phone this July to an iphone5, or might just leave ATT at end of the contract. I agree somewhat but I also disagree. Cell companies should at least offer long-term customers a better deal than $199 for an upgrade, and even if u get insurance there are extenuating circumstances that they get u with " AT&T ", I had an HTC Pure worst f@#kin phone I ever owned, that being said . I was walking to my bus Im a professional Motor Coach Operator, and I tripped and my phone flew under another bus before i could grab it squish and AT&T customer service said oh well sorry!!! That to me is crappy business practices do your customers a solid especially if they dont complain , pay their bills on time, and of all stick with you through thick and thin.